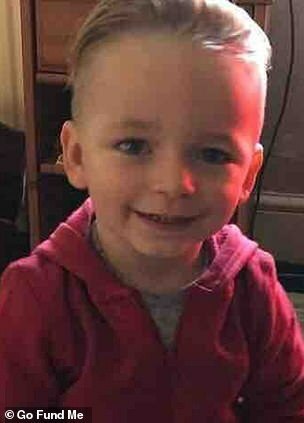 A mother told her three-year-old son to be quiet as he was crushed to death by her boyfriend deliberately moving his car seat back, a court heard today. 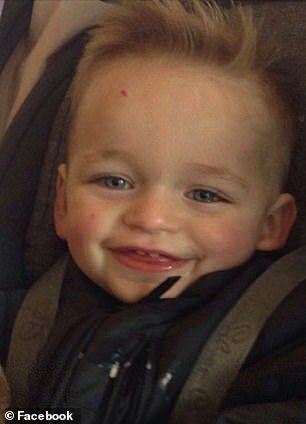 Alfie Lamb’s head was wedged between the rear seat and the front passenger seat when Stephen Waterson twice moved his chair back ‘as far as it could go,’ a court heard. 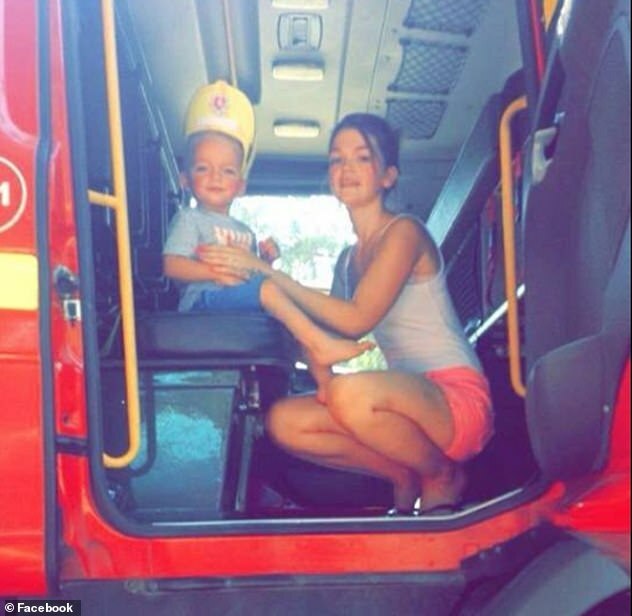 The three-year-old sobbed and cried out ‘mummy’ when he was crushed by up to 81kg of pressure and started making ‘choking’ noises in the car. Witness Emilie Williams, 19, who was sitting in the back seat of the Audi, claims Alfie’s mother told him to ‘shush’ after Waterson moved his seat into him for the second time. 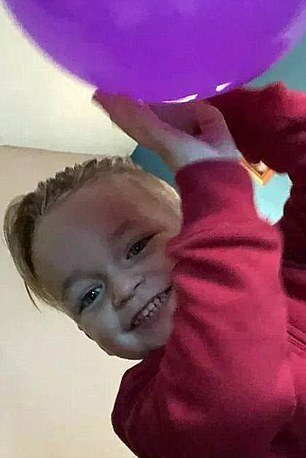 Waterson, 25, and Alfie’s mother Adrian Hoare, 23, are accused of manslaughter after Alfie was crushed, starving his brain of oxygen and causing him to fall unconscious. 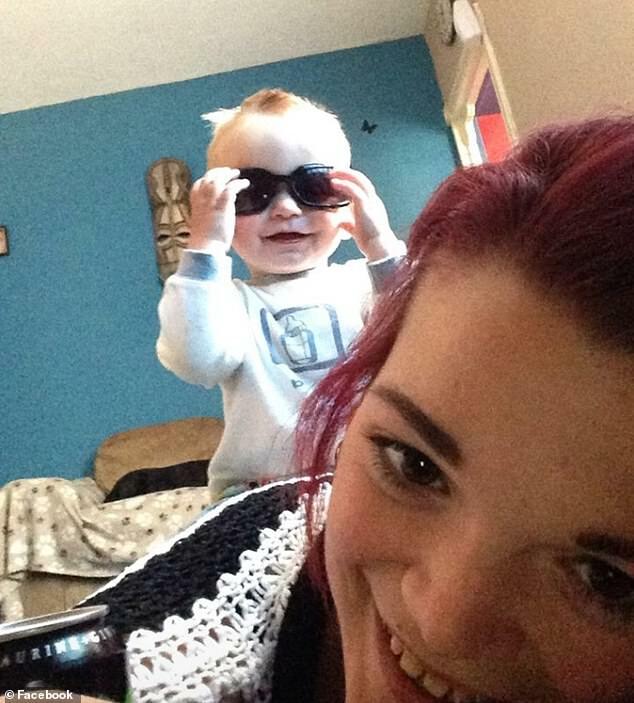 Alfie died three days after suffering a cardiac arrest at the couple’s home in Croydon, south London. Waterson is alleged to have become irate as the boy was complaining he did not have enough room during the journey as he sat in the back footwell, between his mother’s legs. 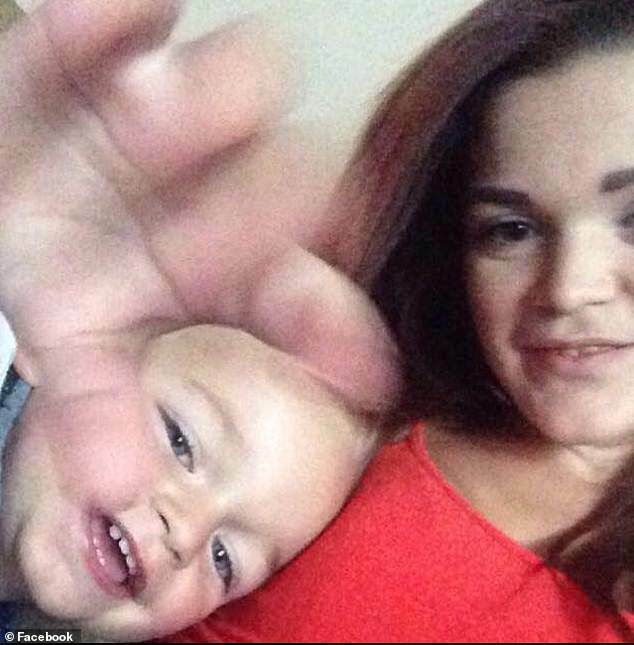 Hoare, 23, also allegedly slapped the three-year-old as he screamed during the car journey. Waterson and Hoare lied repeatedly afterwards then assaulted the two other passengers in an attempt to cover up their crime, jurors were told. The court heard on the journey on 1 February last year, Marcus Lamb was driving, Waterson was sitting in the front passenger seat, and Hoare was in the back with Emilie Williams. Ms Williams said her own daughter and Alfie were sat on the floor behind the front two seats. 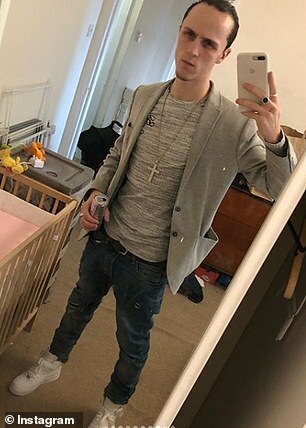 She told the Old Bailey on the second day of the trial that Waterson moved the Audi A4’s front passenger car seat into Alfie as they drove back to Croydon. She said Alfie went quiet after he stopped crying and she and Hoare were unable to wake him up. 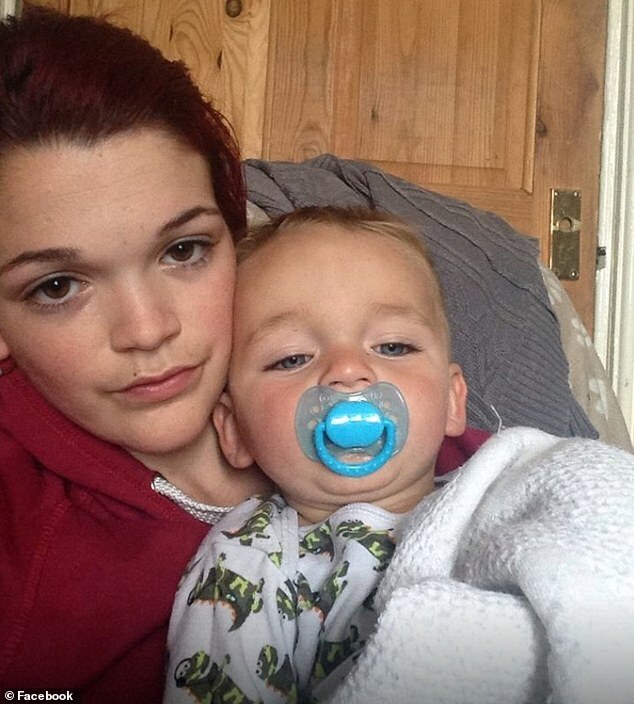 She added: ‘As we was pulling up she (Hoare) thought to wake Alfie up but couldn’t get anything and she told him to stop being silly because she thought he was mucking around. Asked why she hadn’t come forward sooner, Ms Williams’ said Waterson had threatened her. Ms Williams then told the court via a video-link how Hoare slapped her in the face at an Asda store. 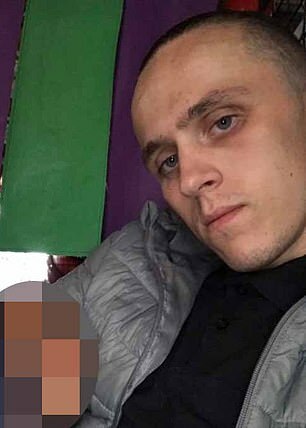 Prosecutor Duncan Atkinson told the Old Bailey yesterday: ‘This movement was a deliberate action by Waterson, who was angered by the noise and fuss that a three-and-a-half-year-old was making during the journey. 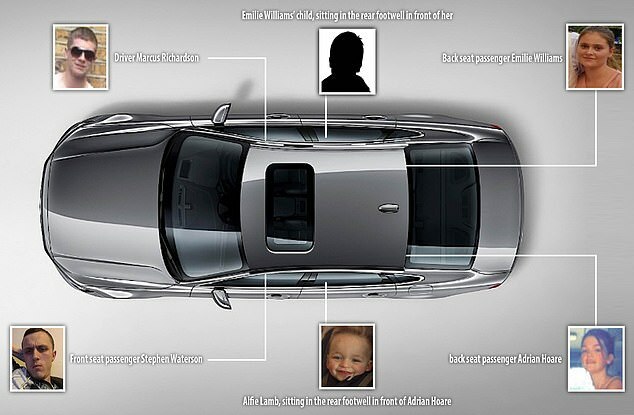 ‘Until he got into that vehicle with his mother and those others, CCTV showed that Alfie had been fit and well. A forensics investigator found Alfie had been subjected to between 78-81 kg of force in 9.5cm gap. Paramedics were called to the couple’s address on the evening of February 3 to find Marcus Lamb performing CPR on Alfie. 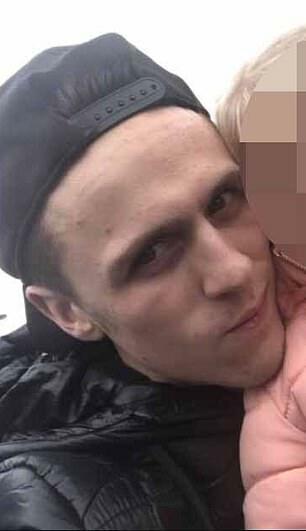 Haore also told paramedics ‘I can’t tell them what happened, I’m going to have to tell them what happened’ over and over as they treated him, the court heard. ‘We tried to wake him and found him unresponsive. The taxi driver kicked us out and f*****d off,’ she said. Later that day, activity on Waterson’s phone showed that he was trying to sell the Audi and he later accepted £800 in cash for it. On 4 February Hoare told Waterson that there was nothing more the hospital could do for Alfie and it was time to turn off the his life support machine. 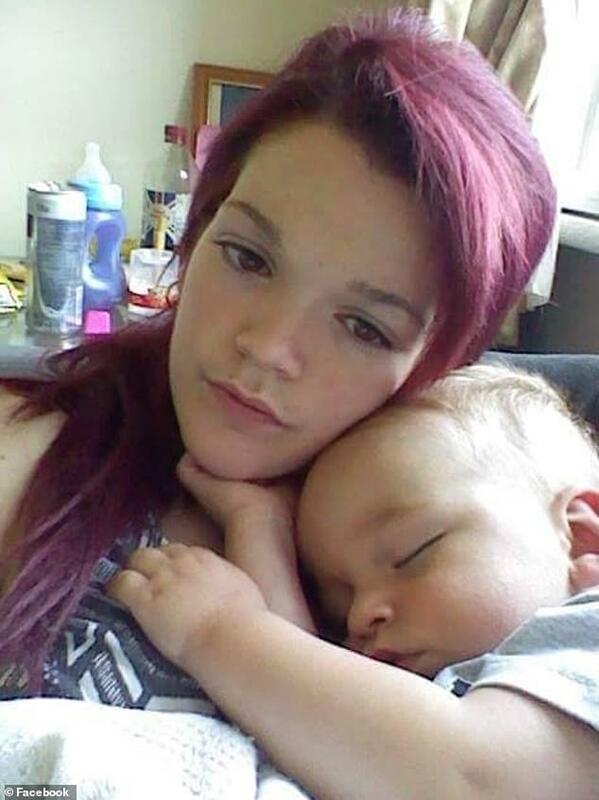 Lamb told police that Hoare had been shouting at Alfie while they were out shopping. Mr Atkinson said: ‘During the journey, he heard Alfie screaming and crying and both Hoare and Waterson were telling him to shut up. Emilie Williams told police: ‘Alfie carried on crying for a few minutes and then he became quiet so Adrian thought he had fallen asleep. ‘But before I noticed that he was like, it sounded like he was about to bring up sick but he didn’t and he swallowed it again. Emergency services were called at 7.23pm where they found Lamb giving CPR to Alfie, before he abruptly left. Paramedics were not satisfied with Hoare’s account and the police were called. When they arrived Hoare was on the phone to Waterson allegedly getting their stories straight. Hoare claimed they had been in a taxi but was unable to describe it or the service they said they had used. 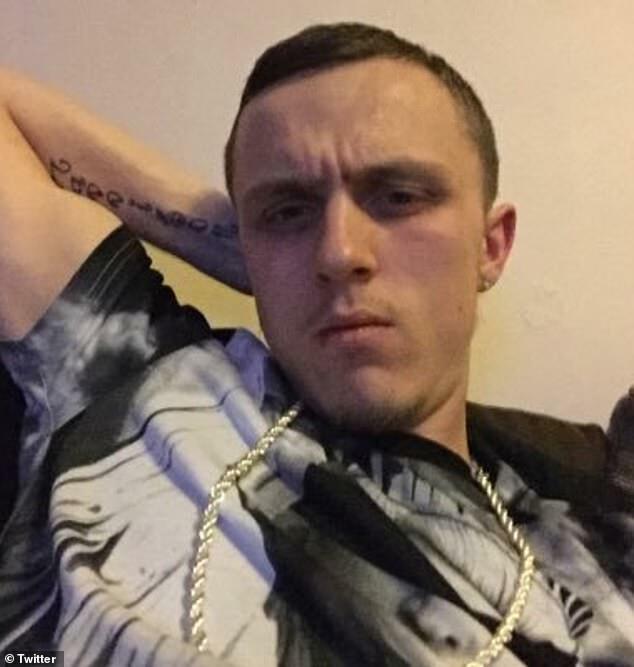 Waterson gave the false name of Alex Richardson and identified himself as Hoare’s cousin at the hospital. ‘He gave the impression to the police of being helpful and concerned,’ Atkinson said. 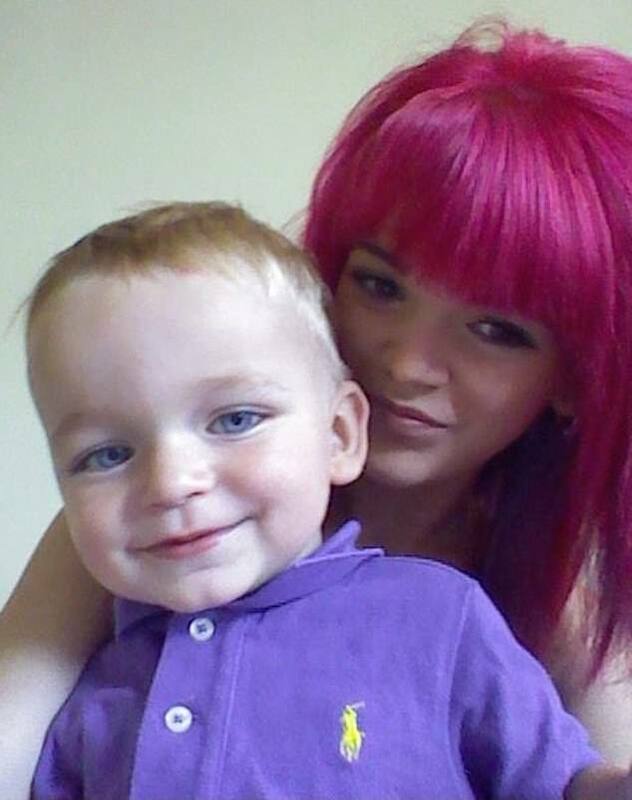 The pathologist found that Alfie had died as a result of crush asphyxia. He moved the seat into Alfie and the passengers pleaded with him to move forward because it was obvious he had hurt the boy, the court heard. ‘However, when Alfie made noise again, Waterson deliberately moved his seat back again and kept it in reverse position, squashing Alfie,’ Mr Atkinson said. ‘He again showed signs of breathing problems until he ominously went quiet. 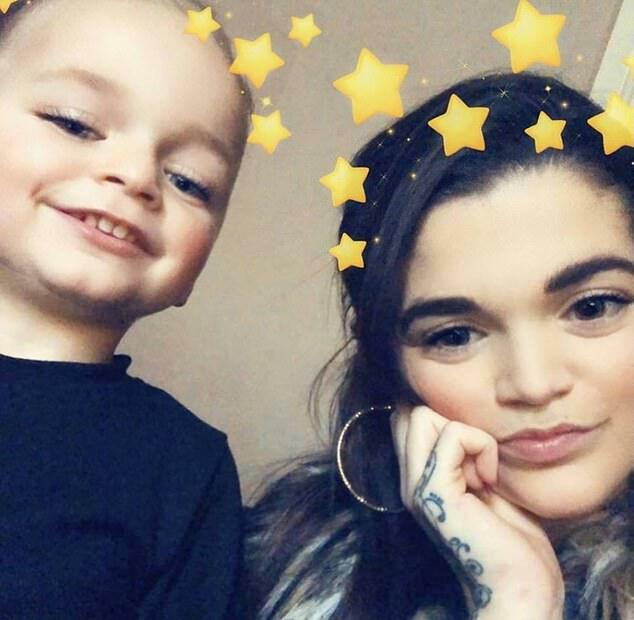 ‘Alfie’s mother had a duty to protect him from avoidable harm and yet she had failed to do this by inappropriately placing a young child in the rear footwell of a moving car. ‘She failed in any meaningful or sufficient way to address the consequences of Waterson’s actions. ‘Hoare later assaulted Williams in an argument that was no doubt related to the incident. The court heard Wateron fled after the boy fell unconscious and sold the car ‘very quickly’ afterwards. Paramedic Jason Sammut told the Old Bailey when he and a colleague arrived Marcus Lamb was giving Alfie CPR on the ground by a car park. 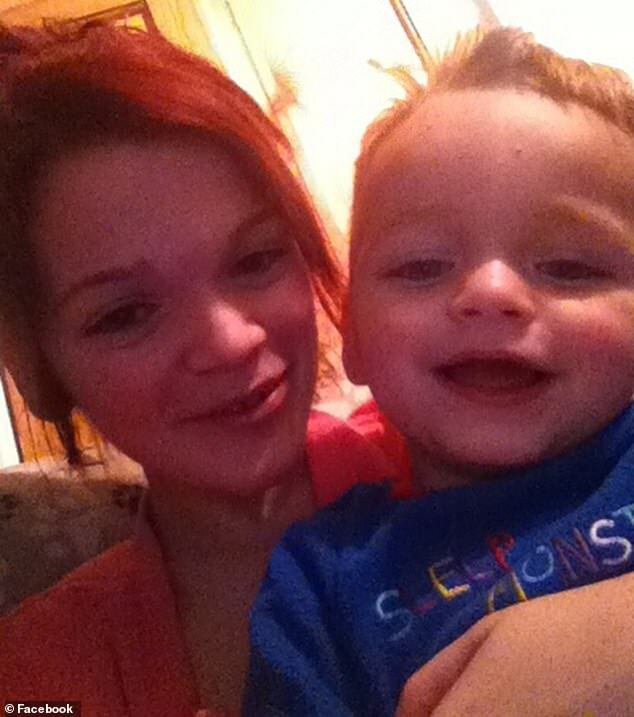 Mr Sammut noticed red dots on Alfie’s face when he was transferred to the ambulance. Both defendants have admitted to perverting the course by submitting false statements to police. 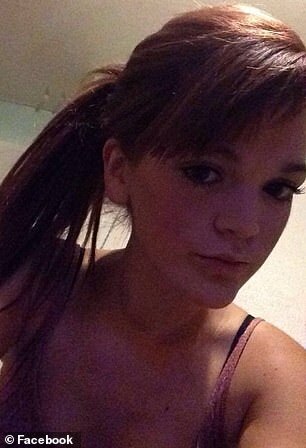 Hoare and Waterson, from Croydon, south London, deny manslaughter. Hoare denies further charges child cruelty for placing Alfie in the footwell and common assault on Williams on February 14. Waterson denies intimidating Marcus Lamb, also known as Marcus Richardson, on 15 February.